Don't miss the 2019 Six Nations finale - who will take the title? Update: It's all over - but wasn't it a fascinating competition while it lasted? Wales ended up victorious with an extraordinary Grand Slam against the odds, thanks to huge home wins against England and Ireland. It's really got us excited about the rugby union World Cup later in 2019. 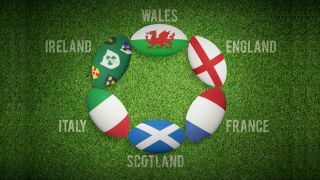 We absolutely love it when the Six Nations goes down to the last weekend of action - so you can imagine how excited we are that there are still three teams in the hat that can still win the 2019 tournament. And with this guide, we'll tell you how to watch all the final round of rugby from the comfort of your home, or anywhere else you can get an internet connection for that matter - live stream Six Nations 2019 rugby from anywhere. Wales lead the table and are shooting for a Grand Slam, but England and Ireland are still in the hunt to win this year's rugby union title. In a World Cup year, it feels like gaining momentum with a tournament win now is just what these countries need. Wales must now be hot favourites to win the Grand Slam in 2019. They dispatched England in round 3 with class and Scotland after that, extending their record breaking winning streak to 13 consecutive games. After beating Ireland and thumping France, England were looking like a force to be reckoned with again and they will still be determined to win the 2019 Six Nations title when all is said and done. The Irish were odds-on favourites to take the 2019 Six Nations title before the opening weekend, but can no longer make it two Grand Slams in a row. The famous victory that captain Rory Best's men recorded over the All Blacks in November now looks like a long time ago, and even getting past Italy felt like a struggle last time out. Scotland will feel like this year's tournament has been a missed opportunity, especially after falling to a disappointing defeat in Paris. France and Italy had 2018s to forget and have a lot of improvements to make should they wish to challenge either here or in Japan. For all the info about how to watch a Six Nations live stream, read on. And you can scroll down to see a list of next weekend's fixtures, too. It's really easy to get started with a VPN - simply download, install, open the app and select the appropriate location. If you don't mind the late nights/early mornings and want to scout the best of Northern Hemisphere rugby before the World Cup, then subscription service beIN Sport is showing every game of the 2019 Six Nations. If you're a Foxtel customer, you can add beIN to your package for an extra fee. No worries if you aren't though as you can also subscribe to beIN as a standalone subscription that can be watched on your laptop, desktop computer or mobile device. That costs $19.99 per month after you've taken advantage of a FREE two week trial. Whether you're an All Black scoping out the competition for Japan at the World Cup, or an expat wanting to watch your countrymen from the other side of the world beIN Sport is the place to be. Sky subscribers can add beIN to their package at an additional cost or, like in Australia, you can subscribe to a standalone package that can be watched on laptop, desktop or mobile app. It costs $19.78 per month after you've taken advantage of the FREE two week trial. You can even watch for free as DAZN offers a 30-day money back option. You'll have to sign up for the service but if you don't like it you can get your money back within a month of you signing up. The NBC Sports Network has bagged the rights to the rugby in the US, and in particular you'll need its Rugby Pass. Costing $69.99, you'll get every Six Nations match commercial-free, live or on-demand, as well as Premiership Rugby and the Heineken Champions Cup.